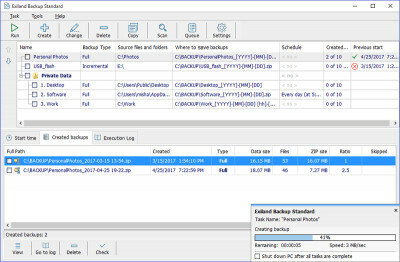 Exiland Backup is an easy-to-use flexible software that allows you to make backups of your important files. 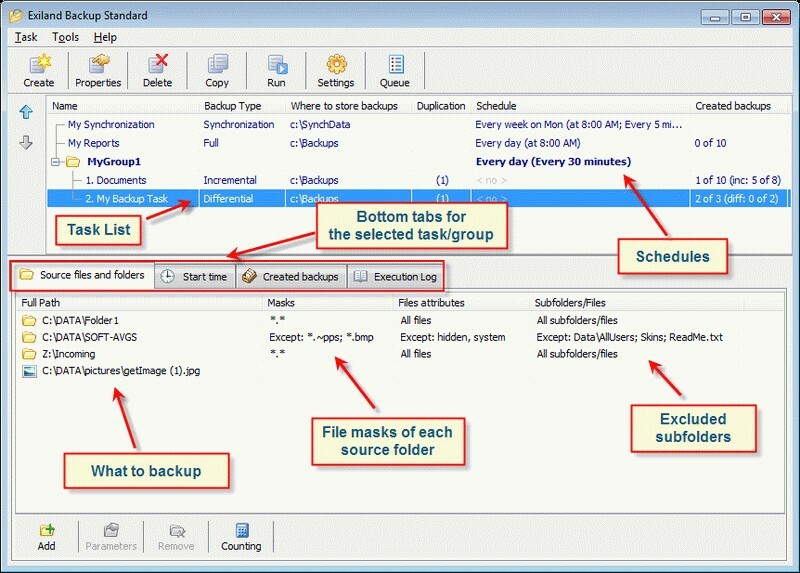 The program lets you store your backups on local disks, a network location, FTP/SSH servers, NAS, or removable devices. Exiland Backup saves your disk space by compressing your data to a ZIP file. The program is extremely easy, small and fast. Problems with unicode and long paths are solved. There is a free version of the program. GrabBack is a backup program for Macintosh providing simple, fast and reliable backups.